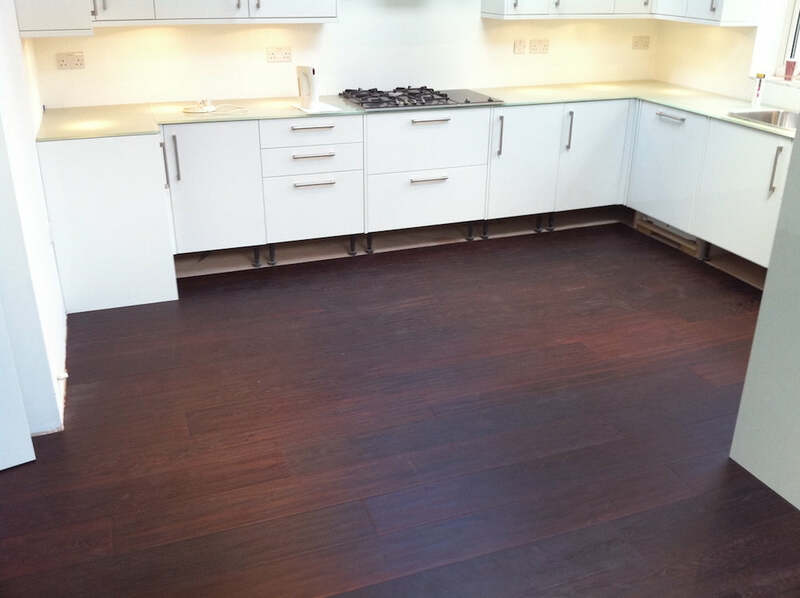 The process of carbonising oak flooring is similar to fuming except ammonia is not used or smoked wood. The top layers of our engineered boards are loaded into a very large kiln / oven with spacers between each layer so that the total thickness of the board is fully carbonised. This means that the colour is all the way through. The kiln / oven is then sealed and the wood heated to 220 degrees centigrade for 5 days. The top layer during this process will shrink by about 10% and the moisture content will be ZERO. This means that we have to reintroduce some moisture before adhering to the base layer. We do this very carefully with steam to 3 to 4 % moisture and then allow the top layer to acclimatise naturally to its normal state of 7%. Because the wood has been heated to more than twice boiling point any traces of cellulose in the cell structure of the oak is removed. This is the reason why carbonised boards are great for Hospitals and other sterile locations. Colour Variation: There will be natural colour variation in carbonised oak and the colours will range from dark reddish brown to black. If there is a requirement for a consistent colour then we can finish it with a black oil to take out a lot of the variance. The reddish brown colours can be seen here in a kitchen.